Bought a Dell S-series monitor and disappointed that you can't VESA mount it? This bracket enables you to mount select Dell S-series monitors to a desk mount, articulating arm, or any other VESA mounting system. Included are nuts to secure the bracket to the VESA mount, and the only tool required for installation is a screwdriver that fits the screws that came with your VESA mount. MOUNT YOUR DELL MONITOR ON A STANDARD VESA MOUNT - Even though these monitors weren't made with mounting holes, our convenient bracket enables you to connect your Dell monitor anyway! 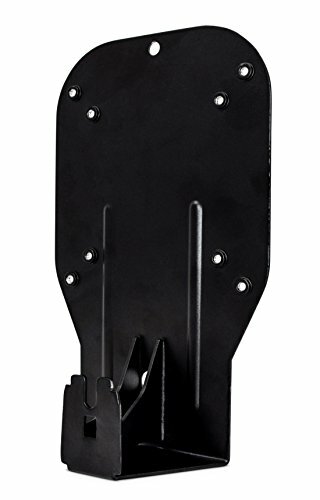 Whether you're looking to mount it on the wall or just get it off your desk, this bracket will let you connect your monitor in seconds. Works with double and triple (and more) mounts too! EASY INSTALLATION - You'll be able to install this bracket in less than two minutes with nothing more than a screwdriver! Just remove the existing base and snap ours in place instead - then connect it right to the VESA mount. We've tested our mount extensively to make sure it fits your monitor just right. SATISFACTION GUARANTEED - If you have any problems with your mount, send it right back to us - no questions asked. Our bracket is guaranteed to fit your monitor, or your money back. If you have any questions about this product by HumanCentric, contact us by completing and submitting the form below. If you are looking for a specif part number, please include it with your message.